On Martin Luther King Jr.'s day it seems more than appropriate to publish the Open Submissions results of a category dominated by African American and Jamaican musicians, i.e. 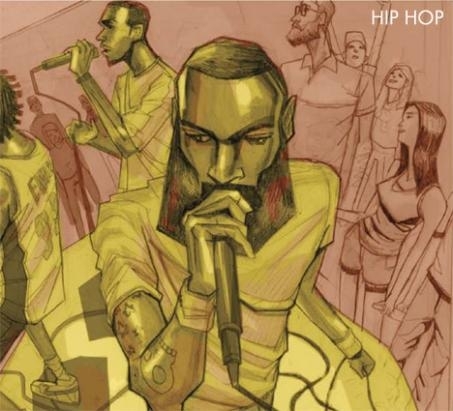 the HIP HOP + OTHER category (where "other stands mostly for R'n'B, Reggae, and Afrobeat. These are genres that are getting more and more space in The Deli, also because NYC's Hip Hop, after a few years of "stagnation" seems to be going through some sort of reinassance. Jurors: Travis Leipzig (The Deli Portland), Michelle Bacon (The Deli KC), Paolo De Gregorio (The Deli NYC). George Grant and The Mighty Templars, Ajo, Reggie Mills, Justin Morelli. More results on their way.